Durham, NC - The Bulls opened up a three-game set with the Gwinnett Braves on Saturday night at Durham Bulls Athletic Park, but could not get the offense in gear as they were shut out 3-0. Richard De Los Santos tossed 7.0 innings allowing just two runs on seven hits, but Braves starter Todd Redmond held the Durham offense scoreless through seven innings to hand the Bulls their second loss in as many games. Gwinnett got on the board in the second inning thanks to a solo homer by Joe Thurston to lead off the inning, his seventh of the season. De Los Santos would settle down after the blast, retiring 14 of the next 15 batters he would face before running into more trouble in the sixth inning. Freddie Freeman doubled with one out in the inning, and Barbaro Canizares followed with a double of own to extend the lead to two. 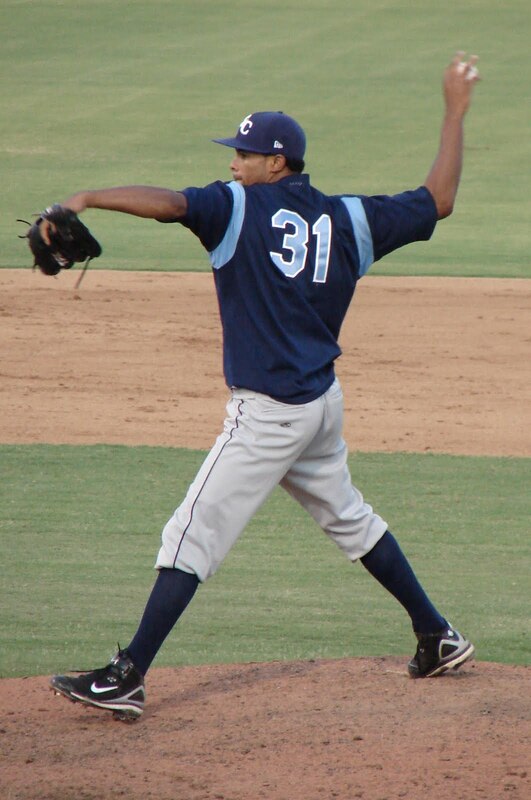 De Los Santos put together his sixth quality start of the season, but his counterpart Todd Redmond was better as he kept the Bulls off the board to earn his eighth win of the season. The Bulls offense managed just two hits and drew two free passes off the Braves right-hander, but were only able to push one runner past first base through his seven innings of work. Mitch Jones added a run in the seventh inning for the Braves, blasting a home run over the wall in left off Bulls righty Mike Ekstrom. Stephen Marek and Craig Kimbrel each worked a scoreless inning of relief for Gwinnett, as Kimbrel earned his 11th save in as many chances on the season. The Bulls look to rebound tomorrow as they celebrate the 4th of July at Durham Bulls Athletic Park. RHP Virgil Vasquez (2-0 5.31) makes his second start since coming off the disabled list, he will be matched up against RHP Ryne Reynoso (2-5, 4.63) for the G-Braves. Game time is set for 7:05 p.m. with an extended fireworks extravaganza planned for after the game in honor of Independence Day.